Great for dressing shell schemes, using space only sites or using instore wherever you need you portable backdrop. 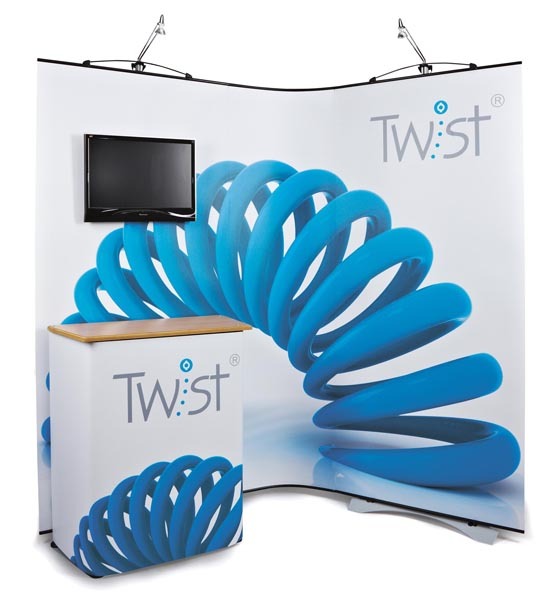 The Twist is a flexible, easy to use aesthetically pleasing portable exhibition stand system that will enhance any dsplay. You can use one by itself or 100 in a line. You can make almost any shape, build in screens and plinths, use them all at once or on their own – the possibilities are vast. Flexible in size & shape. Complete with lights & carry case.